"In May 2010, we moved into a home that had been empty for a year. We assumed the furnace was good because the pipes did not freeze the previous winter. In August, we tried to get the furnace working, but it did not. We called Hot Point Heating and A/C and Doug found the problem and rectified it..."
Furnace repair services for Oconomowoc, Waukesha, and more major locations around SE Wisconsin. Whether your furnace isn’t producing hot air or your air conditioner is not cooling your home properly, we have the solution for you. We offer complete sales, service and installation of quality heating and cooling products in Southeastern Wisconsin. Hot Point Heating and Air Conditioning knows how to fix whatever problem you’re having with your water heaters or HVAC systems. Our Waukesha HVAC maintenance technicians fix your heating and cooling problems fast and without any hassle. We provide helpful tips and arrive at your door quickly, so you don’t have to be stuck without hot or cool air for too long. Our heating and cooling repair technicians won’t leave you stuck waiting up all night – we arrive quickly for immediate emergency repair services 24/7. If you have a simple problem with your HVAC system, we will provide repair tips over the phone free of charge. The experts at Hot Point Heating and Air Conditioning are guaranteed to exceed your expectations as an HVAC service and repair company. Hot Point Heating and Air Conditioning will service your existing furnace or boiler, install a new HVAC system, or perform preventative maintenance to help improve the current energy efficiency of your HVAC system. Any part we replace, we add on a 1-year warranty to the 1-year manufacturer’s warranty. In the rare event an HVAC part malfunctions within the 2-year warranty, we will replace it free of charge. When you need a furnace repaired or installed in your home or office building, we will send a technician out to you along with a van fully stocked with all the necessary repair tools and replacement parts. With Hot Point Heating, there is no need to wait for a second visit – we get the job done on the same day. 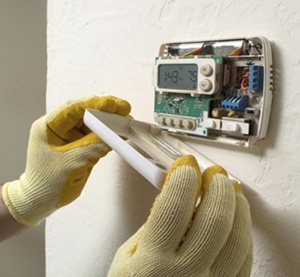 If you require immediate assistance, Hot Point Heating and Air Conditioning offers 24-hour emergency heater repair services in Waukesha County and surrounding areas. Our superior maintenance and repair services coupled with our extended 2-year warranty guarantees you will be comfortable all winter. We also give free tips and advice if you call us with a question. If it is determined you need the help of a professional, we are happy to schedule an appointment. Hot Point Heating & Air Conditioning performs 24/7 emergency repair services on Wisconsin boiler heating systems. Boilers can be an excellent long-term investment for homeowners looking to avoid the pitfalls of forced air heating systems. By heating walls, ceilings and even floors using water or steam, you can avoid the inefficiency and discomfort from furnaces blowing around allergens all winter long. 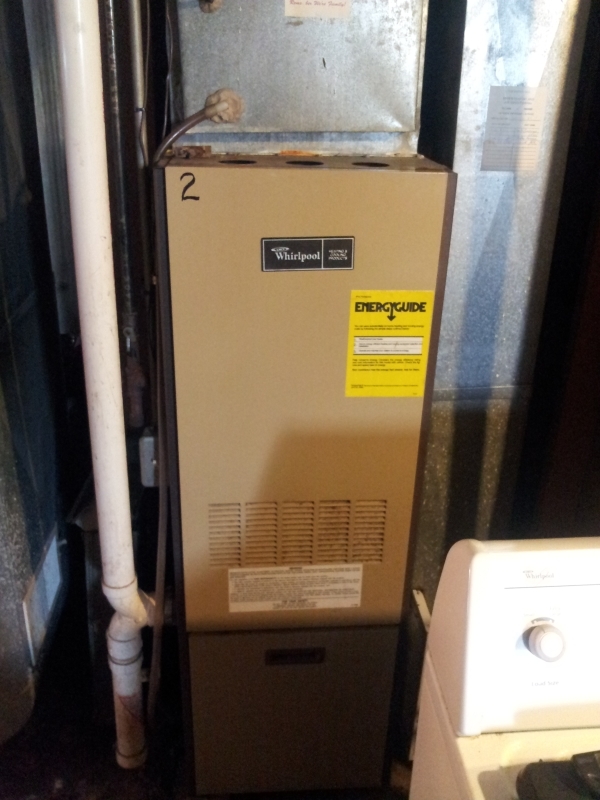 Read our furnace vs. boiler guide for more pros and cons of each heating system. Perform regular preventive maintenance on your steam or water boiler to guard against breakdowns and emergency situations. Know exactly what type of boiler you have installed in your home and know when it needs immediate attention. Of course, if you ever need emergency repair service in the Lake Country area, you can rely on Hot Point Heating & Air Conditioning to answer the call when you need them most. Keeping your home comfortable year round is the top priority at Hot Point Heating and Air Conditioning. Our expert team of Southeastern Wisconsin HVAC technicians is available to provide dependable A/C installation and repair services. Yearly maintenance of your air conditioning system is crucial to keeping it running properly. Cleaning your evaporator, checking your Freon levels and repairing or replacing any damaged coolant lines will ensure your air conditioning unit works properly for many years. Fail to give your air conditioner proper attention, and you could find it leaking water on a blistering hot August afternoon. You don't want that. Hot Point has the tools and replacement parts needed to ensure your home stays cool during warm Wisconsin summers. If you notice your showers aren’t as hot as you’d like, or if there are leaks coming from your water heater, contact Hot Point Heating and Air Conditioning for prompt, reliable water heater repair services. We inspect your entire water heater and diagnose the immediate problem areas. We also look into the long term, addressing any issues which could cause problems down the road. Our Waukesha HVAC technicians offer comprehensive repair and maintenance services, from annual procedures like flushing the tank and checking the anode rod, to complete water heater system removal and installation. The professionals at Hot Point Heating and Air Conditioning provide a flat rate quote for all the services, with no hidden charges or surprise fees. If your place of business is in the Lake Country area—Pewaukee, Delafield, Merton, Hartland or Oconomowoc—Hot Point Heating and Air Conditioning is your local source for emergency 24-hour repairs of your commercial heating and/or cooling system. An inadequate heating and cooling system in your place of business makes for unhappy customers and steep utility bills. Contact Hot Point today to get a free quote on installation or repairs for your commercial HVAC system. Residential HVAC professionals at Hot Point Heating & Cooling perform installation, maintenance and repairs of air conditioners, furnaces, boilers and water heaters in locations all over southeastern Wisconsin, including Oconomowoc, Delafield, Hartland, Brookfield and many others. If your heating or cooling systems are in dire need of maintenance, or are making suspicious noises, rest assured Hot Point can identify and fix the problem. Most HVAC technicians are highly reputable and responsible. Companies by and large want to help people and provide them with the best possible service for their dollar. However, some companies will take any shortcuts they can, even if it means alienating their customers. You need to be aware of common air conditioning and furnace repair scams, so you can tell the difference between a technician trying to help you out and a salesman looking to reach in your back pocket. Hot Point Heating and Air Conditioning is dedicated to providing you with the best HVAC maintenance services in Southeastern Wisconsin. You will know up front how much the maintenance, repair or installation services will cost before any work is done. There will never be surprise or hidden fees. Trust Hot Point Heating and Air Conditioning for dependable HVAC maintenance services year round. Contact experienced Waukesha HVAC repair technicians from Hot Point Heating and Air Conditioning today for quality installation and maintenance services.